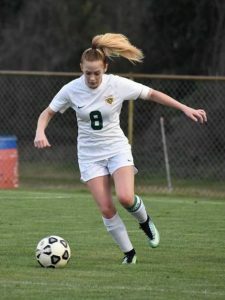 Five Lady Bears were selected as a member of the 2018 DiVarsity.com Georgia Soccer All-Star Team. 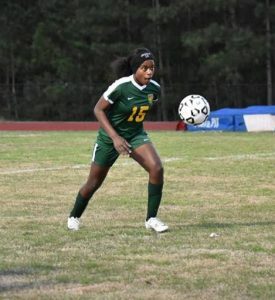 Jalesa Talley, a freshman forward for the Griffin High School Lady Bears soccer team, was the first player selected from Griffin. She was joined by Skyler Henderson, Carolyn Gill, Victoria Hornsby and Kyla Evans. Talley led the team in goals this season with 28. 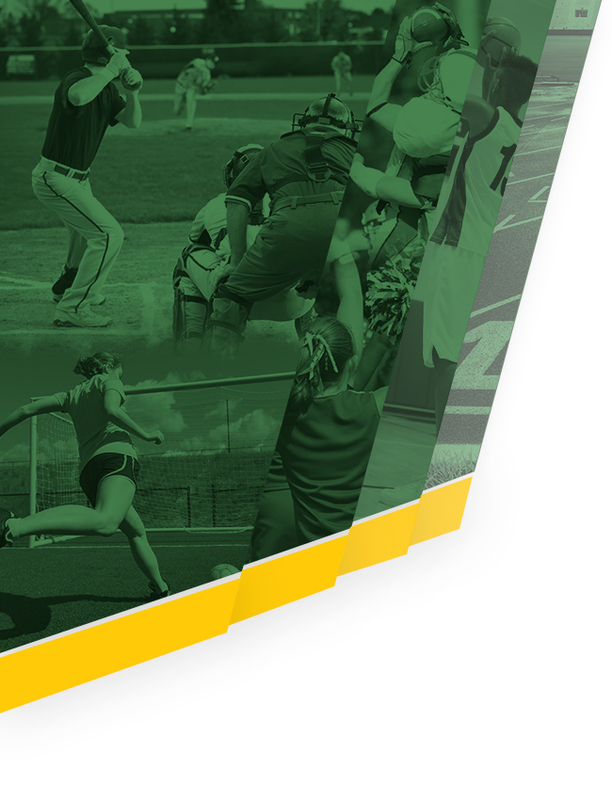 Her tally is the fourth highest among freshman in the state of Georgia and 18th nationally according to MaxPreps. Talley also added 5 assists, leading the Lady Bears to a 8-7 (2-3 region 3-AAAAA) record. Talley was runner-up for region 3-AAAAA Player of the Year. “It feels great to be selected for the game,” says Talley, adding that she hopes the continue using the strongest parts of her game – aggressiveness, speed and technical ability – to strengthen her team and improve as a player. 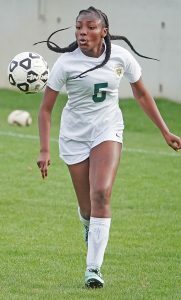 Skyler Henderson, a junior central defender, was selected to the DiVarsity.com State All-Star Game for the second straight year. Henderson appeared in all 15 matches for the Lady Bears, primarily playing as a sweeper. She was also selected first team all-region 3-AAAAA. 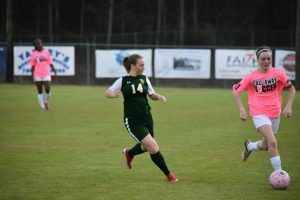 Victoria Hornsby, a senior defender, is a four-time varsity letter winner for the Lady Bears. Carolyn Gill, also a senior defender, has played for GHS soccer for four years. 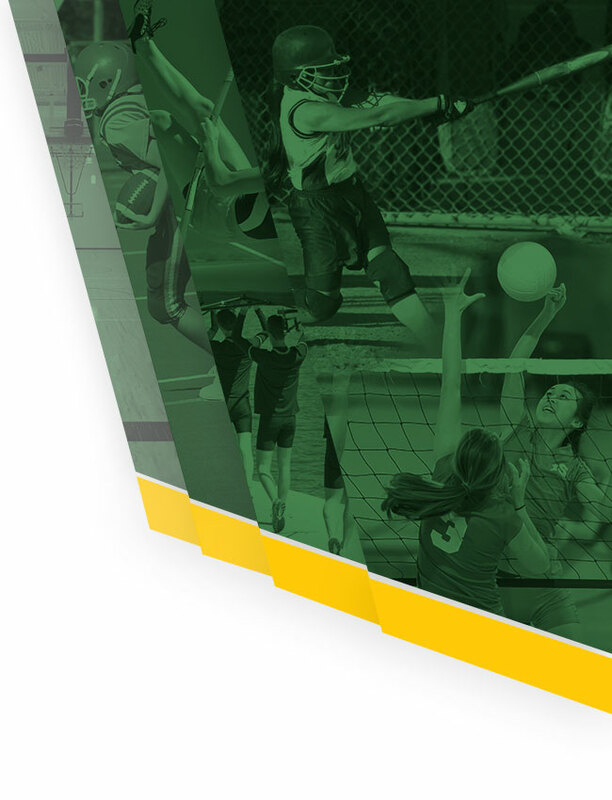 “I really enjoyed [the game],” said Gill, “I feel like it strengthened the way I play.” Gill will take a gap year next year before continuing her studies in psychology and education. 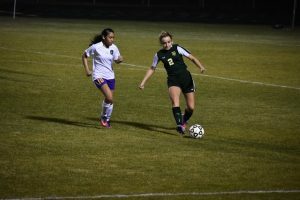 For the past 20 years, DiVarsity.com has sponsored a state soccer all-star game, recognizing outstanding soccer players around the state of Georgia. 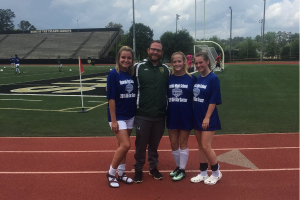 Talley, Henderson, Hornsby and Gill join a long line of Lady Bears who have been recognized as Georgia state All-Star soccer players over the past 5 years, including Rayne Pilgram (2014), Victoria Callaway (2014), Emily Betsill (2015), Madison Weems (2015 and 2016), Skyler Henderson (2017) and coach Bill Stikes (2014 and 2017). Sophomore Kyla Evans, a forward, was selected for the match but unable to appear due to scheduling conflicts. Evans scored 5 goals and added 6 assists as a wide forward in the Lady Bears’ 4-3-3. The 2018 edition of the all-star game was played at Sprayberry High School in Marietta, GA on Saturday, May 19th at noon. Henderson, Gill and Hornsby each played 45 minutes for the Blue team in a 3-3 draw. Talley played about 20 minutes before leaving the match with an injury.